There are thousands of tools in the marketplace to help you conquer retention. Choosing the right ones can seem as daunting as solving retention. Smart SaaS companies don’t choose customer retention tools ad hoc. The process is to develop an overall retention strategy tailored to your users first, and then creating an effective stack of tools that can best deliver on that strategy. To get an idea of how to do this well, we surveyed five successful SaaS companies that have nailed down customer retention. Here's what we learned about the makings of a killer retention stack built around a solid customer retention strategy. Email marketing platform Vero has a quiver of retention tools that enable them to develop personal relationships with their users. According to CEO Chris Hexton, the staff takes the time to personally reach out to ensure that their users are happy with their product. He even gives access to his personal phone line, in case a user ever wants to call. Help Scout. 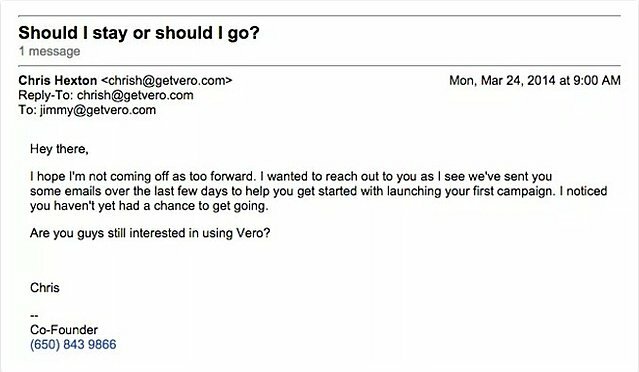 Vero uses the help desk software to keep a record of all the email outreach they do. Before sending out a personal email, they can search the history and have a clear understanding of the user's time and relationship with the company. Qualaroo. Vero uses Qualaroo's in-app surveys to get an understanding of the weak and strong parts of their platform. This way, they can personally reach out to engage users who are having problems. Vero. Vero uses its own software to send lifecycle emails based on users' interaction with the platform. They are able to send super personal messages automatically, measure the success of those emails, and iterate. Vero uses tools that facilitate personal outreach in order to get a deeper understanding of their users. They're able to pinpoint why users like or dislike their product, equipping themselves with the data necessary to grow their platform. Productivity app Process Street, founded in 2014, has achieved a lot of success in its short lifespan. Raising over $1 million in funding in its first year, they've been able to accumulate a substantial user base. But the size of their customer base doesn't keep them from interacting with every single user. Intercom. 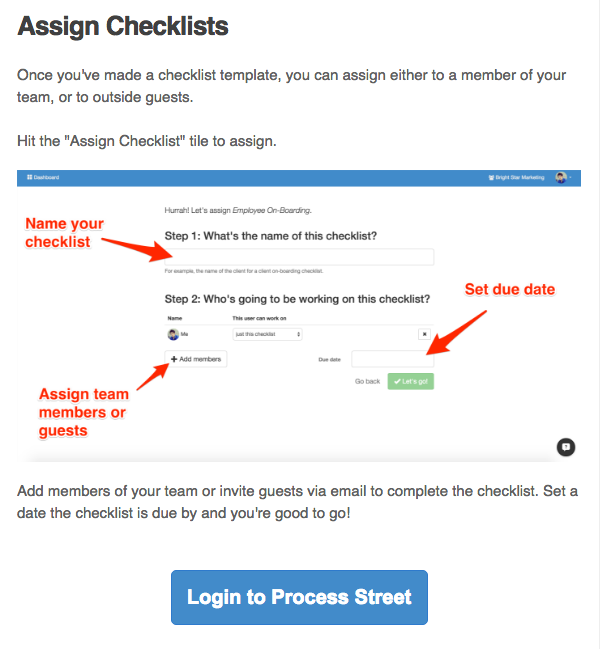 They use Intercom to automate their feature announcements. Any time they've made something new, they send triggered in-app messages to users—much like teams do with Appcues. MailChimp. Process Street uses MailChimp to send out email campaigns to different user groups. The email below is sent to new users, offering helpful tips to using the app. Google Analytics. Process Street uses Google Analytics to see how well their engagement strategy is working. They can take a look at what drove users to their page, and what got them to stick around. Process Street knows that their top customers deliver the most value for long-term product improvement. Top customers also contribute significantly to revenue —30% of SaaS revenue typically comes from the top 5% of a user base. So by concentrating their attention on the most valuable customers without neglecting the rest, they're able to make sure everyone gets the value they pay for. Social media platform Buffer uses education as a retention strategy. They have built their business around total transparency, teaching their users everything they've learned about effective social marketing. Through webinars, workshops, and blogs they're able to provide their users with even more value than just the platform itself. Facebook Ads. 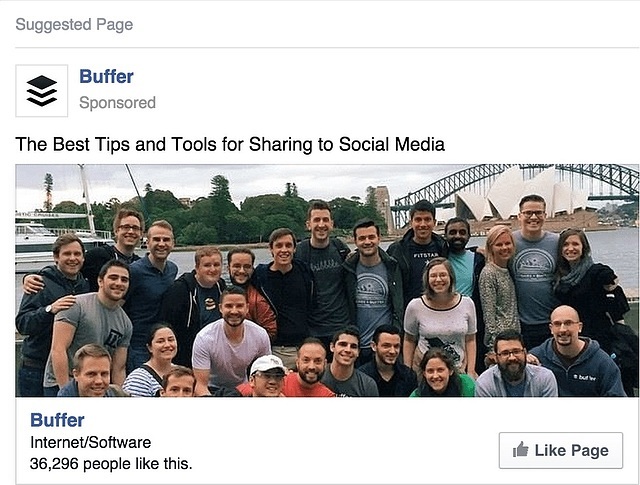 Buffer uses Facebook ads to advertise their helpful resources to both prospects and existing users. SendGrid. They use Sendgrid to send out transactional emails that help them get users to sign up for their training sessions. Qualaroo. Buffer uses in app-surveys for customer development. This way, they know to make content and product modifications based on what their users actually want. Buffer has found a way to use the expertise they gained from operating their platform and turn it into more value for their customers. When they sign up for their app, they don't need to use the product every day to feel happy with Buffer as a company. 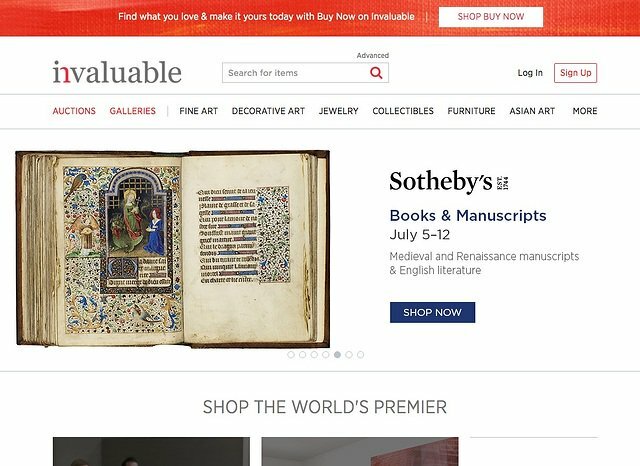 E-commerce company Invaluable has gained its reputation by making art collectors' lives easier. They've created an online marketplace for fine art and antiques—an industry traditionally restricted by lack of accessibility. They're still always looking for ways to remove friction from their users' experiences. At one time they had their blog, their gallery, and their for-sale items all on one page, but users weren't getting to the “buy now” section fast enough. They changed their page to have a handy bar on top that takes visitors straight there. SurveyMonkey. Invaluable regularly uses SurveyMonkey to gather feedback from existing users, so that they know which areas of the platform need to be improved upon. Bluecore. They use this analytics platform to see where users spend most of their time. They're able to get a good understanding of how easy it is for customers to find the products they're interested in purchasing. Yesmail. Invaluable uses the email platform to interact with customers about their purchases and platform satisfaction. They set up lifecycle emails to make recommendations to users based on their behaviors. Invaluable's entire business model is based on making the process of buying art as easy as possible. But Invaluable constantly iterates its website to make the experience easier and easier for its users. Analytics platform, Amplitude, regularly and systematically analyzes their data. Instead of trying to fix a customer retention problem, Amplitude takes proactive measures to ensure that it never gets that far. According to director of customer success Alan Ibrahim, Amplitude regularly does health checks for their entire customer base and partnership reviews for their enterprise customers. This way, if their customers are even considering unsubscribing, Amplitude knows about it well in advance. Amplitude. 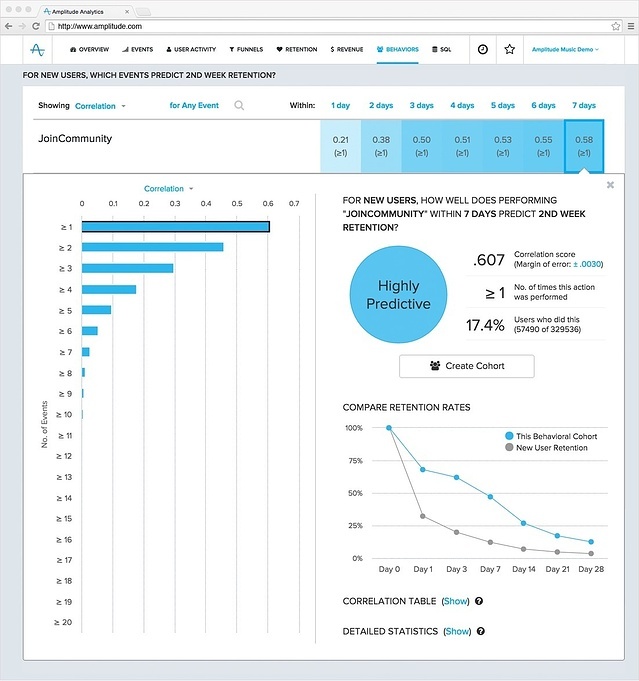 Using their own behavioral analytics platform, they perform detailed cohort analyses to get a clear understanding of which behaviors are linked to retention. Totango. Since Amplitude is able to always have a clear understanding of what behavior is linked to customer retention, they can use this customer success app to calculate health scores of their existing customer base. Amplitude practices what they preach. Their analytics-driven approach involves diving deep into metrics and deciding when and what to iterate to increase engagement. This relentless pursuit of perfect customer retention is working. They have over 150 customers, growing 300% year-over-year. Many startups think that using five or six different engagement tools is a surefire way to get users to stick around. But an excellent customer retention strategy is more than the sum of its parts. A strong retention stack is comprised of tools that work together to achieve one common goal—whether that's retention by automation, by personal outreach, or even by consistent data analysis. Have a solid idea about the engagement strategy that's right for your startup and then build your retention stack around that. Only then will you be able to properly leverage the power of retention tools and fill the hole of that leaky bucket.